A couple of months down the track post the permanent Sydney move and the place is beginning to seem more like home. Rooms have been established, including plenty of guest rooms, furniture is all in place, boxes (mostly) unpacked. I have always wanted plenty of animals (or creatures) around and it gives the place such a greater sense of permanence. 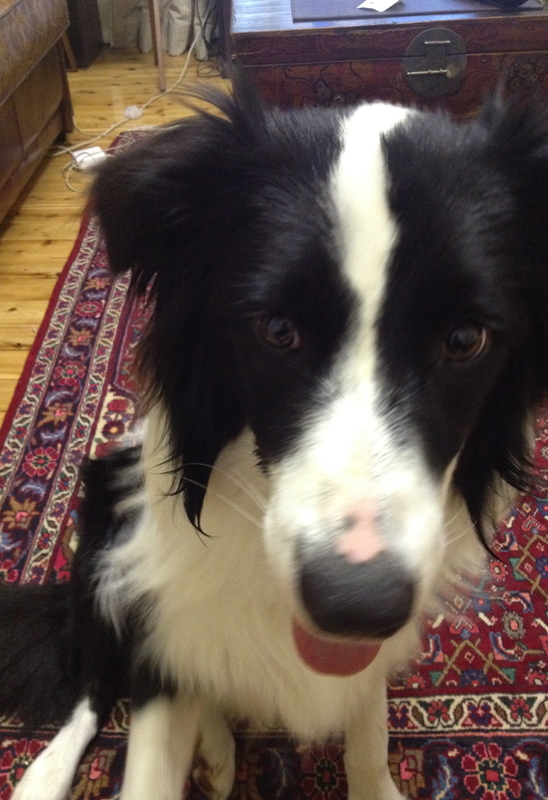 Popcorn, the border collie, was an unplanned but very welcome addition and has made himself very much at home. He is a lovely boy and fits in well with everyone, even Roxy and Tango who very much ruled the roost. 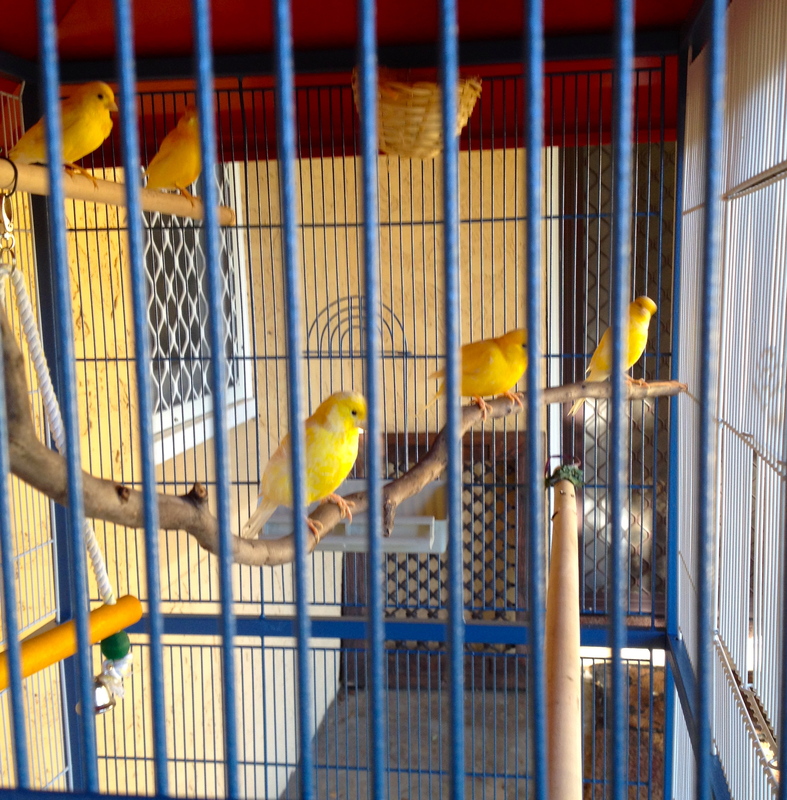 Speaking of roosts, I have just added five pretty little canaries in an aviary. I owned canaries when I was little and loved them, so the chance to take some in when offered was too good to pass up. They only arrived a few days ago but appear happy, chirpy and are already using their nests. They will also be a good interim step before the chooks arrive. I wasn’t sure how the dogs would react, particularly Roxy who is fascinated by birds and loves to chase them. She is equally fascinated by these new residents but given the threat of being sprayed with cold water by me, just sits and watches them by the hour. Hopefully they will take the edge off the excitement of chooks when they arrive in the next month or two. I’m also spending some time propagating plants. Whilst it’s exciting to get new plants, I also want to have more of what grows well here. It will also be a more economical approach to gardening. Anyway, this means I’ve been collecting seeds and cuttings. I’m also now growing more plants from seeds rather than seedlings. I have a feeling there will be a few failures along the way, but lots of learning will be involved and the results will be rewarding. One of the next activities for me is to start joining some of the local groups. I’m looking forward to meeting up with some of the spinners and knitters in the not-too-distant future. Kandos is fast becoming home.